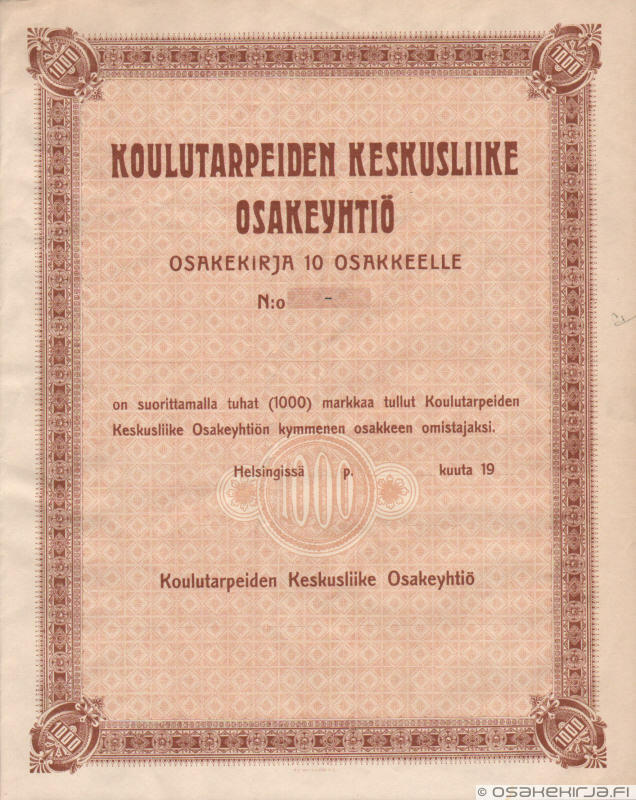 A former fuel service station company, which was established in 1931. Since 1953 the company had a nation-wide “Union” petrol station chain. 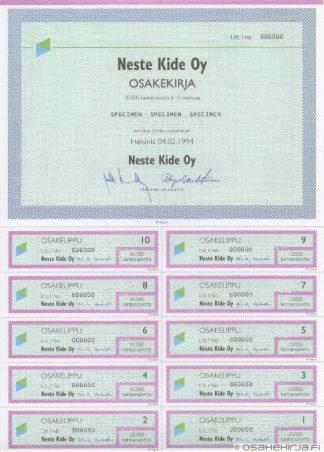 Neste Ltd bought the majority stake of the company in 1983. 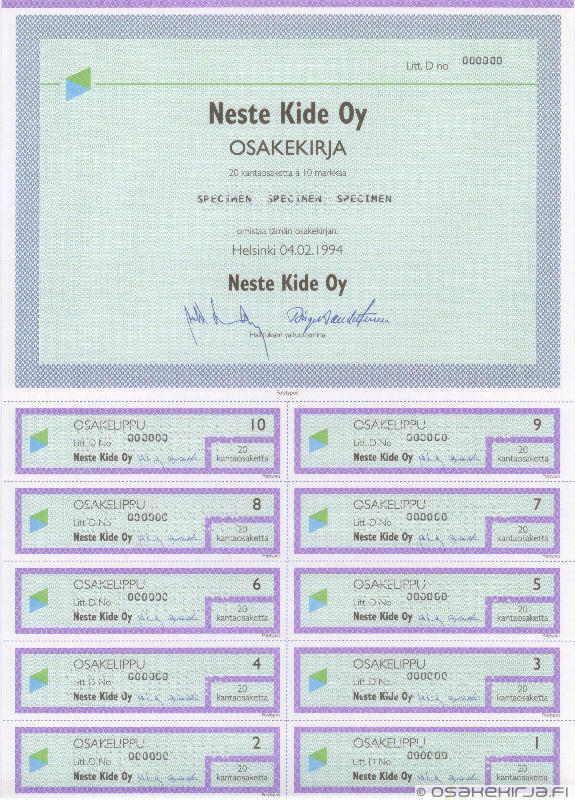 As a subsidiary of Neste the name was changed to Neste Kide Ltd in 1992 (this certificate). In 1995 it was merged into Neste Liikennepalvelut Ltd, which was the gasoline station chain of Neste Group. 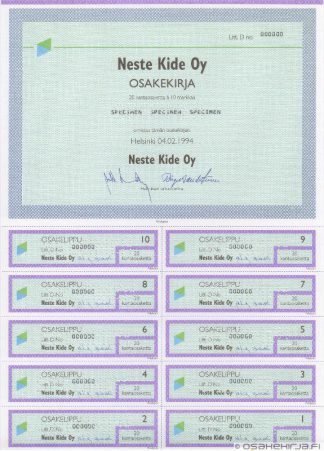 The stations of Union were renamed to Neste. 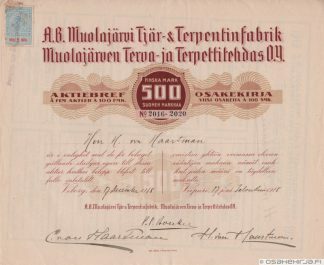 The share of the company was listed in the Helsinki Stock Exchange as Union-Yhtymä from 1981 to 1992. Nature of business: Import and retail of petrol for transportation, service stations.